Cut the butter into 1 tbsp chunks and place in a medium saucepan over medium heat. 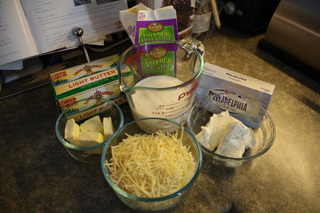 Add garlic powder and whisk until butter melts. 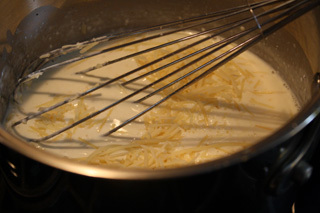 Whisk in the heavy whipping cream (or fat free half-and-half) until well combined. Then add the cream cheese in chunks and whisk until melted. Finally pour in the shredded cheese a little at a time, whisking gently until all the cheese is melted into the mixture. 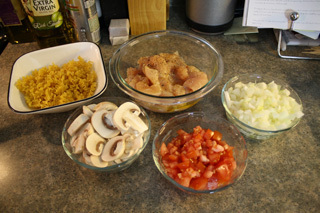 1) Start boiling the water for the noodles before you start the sauce as they will finish about the same time. 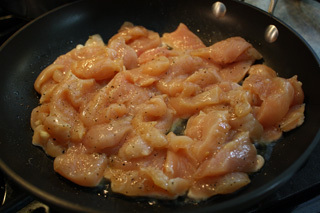 2) You can cook up some chicken breast marinated in Italian dressing or olive oil with fresh cracked pepper and salt. Add the cooked chicken to the alfredo sauce for protein and extra flavor. 3) This sauce also goes well with sauteed onions, mushrooms, and tomatoes. 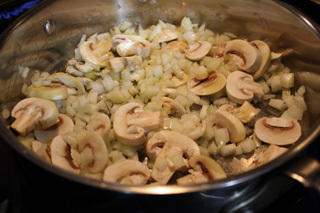 Of course you'll want to serve this tasty sauce over noodles; I'm partial to mafalda noodles, although it is traditionally served with fettaccini. 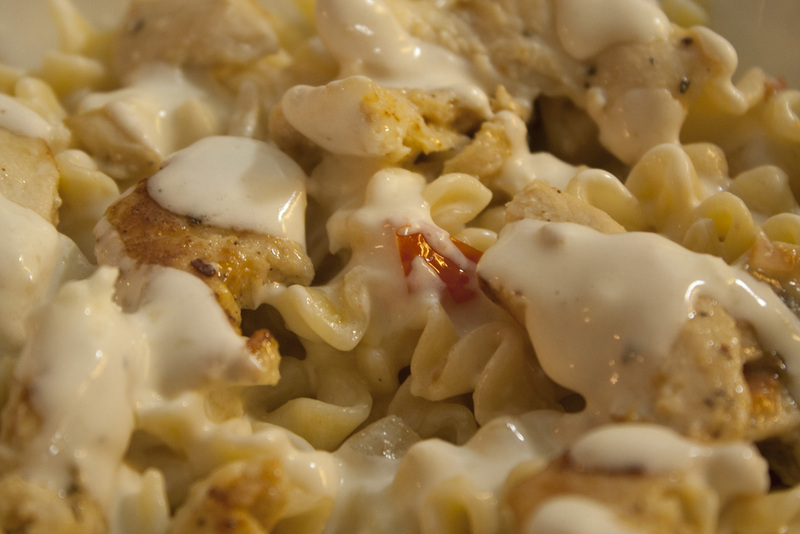 Try your pasta alfredo with a side salad and some garlic bread to complete the meal! Enjoy!